Steven R Rubenstein has been a partner of Rubenstein, Meyerson, Fox, Mancinelli & Conte, P.A., since its founding in 1988. His practice has focused on divorce law for most of his 35-year career. He has handled thousands of divorce cases. He is certified by the State of New Jersey as a matrimonial law attorney, and he is also certified as a divorce mediator. Mr. Rubenstein is generally considered to be one of the premier divorce mediators in Bergen County. He is a member of the New Jersey Association of Professional Mediators, and a founding member of the New Jersey Collaborative Law Group. He participates as a Master in the Morris Pashman Inns of Court, a training forum for young attorneys. 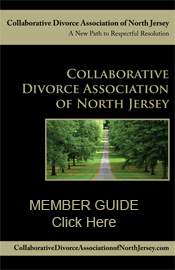 He was named in 2003 to Ten Leaders of Matrimonial & Divorce Law of Northern New Jersey. In 1992, Mr. Rubenstein and his partner, Lawrence N. Meyerson, represented Hana Fhima, a Rockland County, N.Y. woman in a highly publicized custody case in which her son, Shai Fhima Rueven, was abducted by an orthodox rabbi in Brooklyn. The son was missing for two years, and when he was finally located, Mr. Rubenstein and Mr. Meyerson represented Hana in a protracted but ultimately successful custody litigation case, which took place in Bergen County, N.J. in 1996.